Smuggler's Well: Cosy retreat in traditional fishing village. Property 11: Smuggler's Well: Cosy retreat in traditional fishing village. Merlindale 5* self-contained, two bed/two bath apt. by River Tweed. Property 16: Merlindale 5* self-contained, two bed/two bath apt. by River Tweed. Castle Views & Theatres! 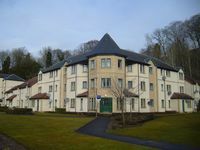 Lovely central 2-bedroom ground floor flat. Property 29: Castle Views & Theatres! 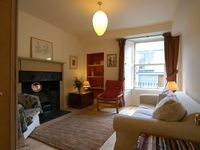 Lovely central 2-bedroom ground floor flat. Very quite,cozy and modern 1 bedroom apartment only steps away from everything. Property 31: Very quite,cozy and modern 1 bedroom apartment only steps away from everything. The Orchard, Blair Drummond. Country house apartment. Property 34: The Orchard, Blair Drummond. Country house apartment. Stunning Apartment with outside space. River Ness & Castle location. Sleeps 4. Property 42: Stunning Apartment with outside space. River Ness & Castle location. Sleeps 4. Stunning apartment with fabulous views, private decking, wood-burner, free WiFi. Property 44: Stunning apartment with fabulous views, private decking, wood-burner, free WiFi.